Not everyone who wants to come to church can make it . . . But the church can go to them! 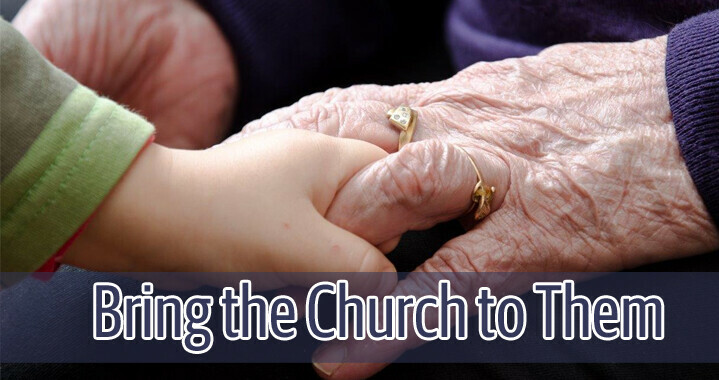 Join us this afternoon as we "bring the church" to our friends at Pine Haven in Sheboygan Falls. You can meet ahead of time at church, or just meet at Pine Haven. 2:15pm -- Meet at church for a brief overview and prayer. Then we’ll head over to our locations. Plan to drive your own vehicle. 3pm -- Arrive/meet at the various locations where people are invited to come sing, hear a brief devotional, and socialize.